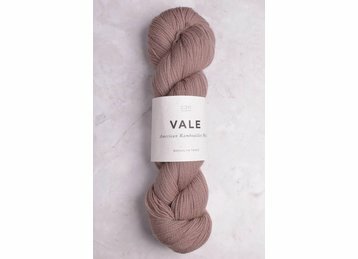 Vale is a soft, springy, & durable 2-ply lace weight yarn that comes in a palette of sophisticated colors. The yarn is spun & dyed in the U.S. with 100% Rambouillet wool from sheep raised in Wyoming. Perfect for heavenly, heirloom-quality accessories. Gauge: Various. 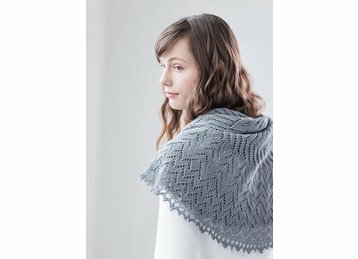 **Lace weight yarns are usually knitted or crocheted on larger needles and hooks to create lacy, openwork patterns. Accordingly, a gauge range is difficult to determine. Always follow the gauge stated in your pattern.